OMA, MAD and Studio Gang are among seven teams vying to overhaul Paris' Tour Montparnasse – a 209-metre tower that caused such uproar on completion that it sparked a 42-year skyscraper ban in the city. French practices Dominique Perrault Architecture and Architecture Studio, and UK firm PLP Architecture are also included in the shortlist for the competition, which will see the facade and interior of the controversial tower completely redesigned. Chinese firm MAD has teamed up with French architects DGLA for the competition, while French studios Franklin Azzi Architecture, Chartier Dalix and Hardel-Lebihan Architectes have banded together to form a team named nAOM. Rem Koolhaas' Rotterdam-based studio OMA and Chicago-based Studio Gang are making solo entries to the contest. The seven candidates for the project named Tomorrow Montparnasse were whittled down from over 700 entries. The €300 million-renovation (£268 million) of Paris' second-tallest building, will also involve accessibility improvements and the removal of asbestos. "This is a heavy and comprehensive restructuring," said the competition organisers. "The tower will be completely reconfigured." "All the office floors will be renovated, technical installations will be changed and modernised, the building will be completely reconfigured." Two finalists will be selected when the teams submit their proposals in March 2017, with a winner announced in July 2017. Work is expected to begin in 2019 and complete by 2023. Tour Montparnasse was designed by architect Eugène Beaudouin, Urbain Cassan and Louis Hoym de Marien, and completed in 1973. Many claim the 209-metre tower appears out of context on the central Paris skyline, where it is dwarfed only by the 324-metre Eiffel Tower. The project triggered the city's planners to limit new buildings to just seven storeys – a restriction that has only recently been lifted. 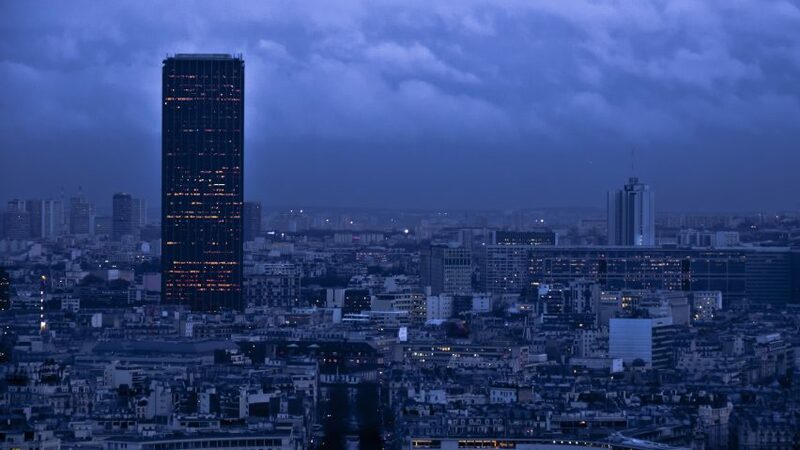 Parisian planning law now permits the construction of residential towers measuring up to 50 metres and office blocks up to 180 metres within the city's arrondissements. Earlier this year, French architects Hamonic + Masson & Associés and Comte Vollenweider Architectes completed a 50-metre-tall housing development in the city – the tallest residential building in Paris since the 1970s. Swiss firm Herzog & de Meuron has also won planning permission for its 180-metre-high Tour Triangle, which is to become the third-tallest skyscraper within the inner city limits.